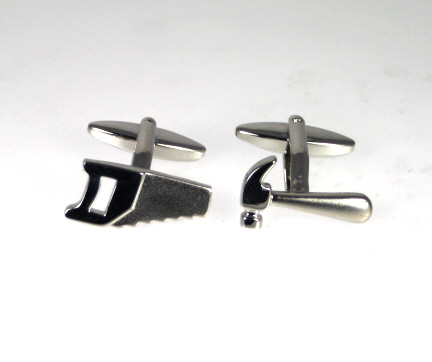 A pair of men's hammer and saw cufflinks which make a lovely gift for the DIY enthusiast. Even in the wrong hands these will do no damage! Small clock with various DIY tools design. Such a neat fun gift for your favourite handyman. Elasticated Blue DIY Tools Trouser Braces with various tool motifs including saw, pliers and mallet. Strong Novelty DIY Tools Trouser Braces with various tool motifs including saw, screwdriver and spanner.